ISLAMABAD: After a consultative session of the PML-N, Shehbaz Sharif has come forward as the most likely candidate to be the next prime minister of Pakistan after an interim premier has served the 45-day period, Geo News reported. Shehbaz Sharif is currently serving as the chief minister of Punjab. Nawaz Sharif met with senior party leaders after being disqualified by the Supreme Court verdict following culmination of the Panama Papers case. 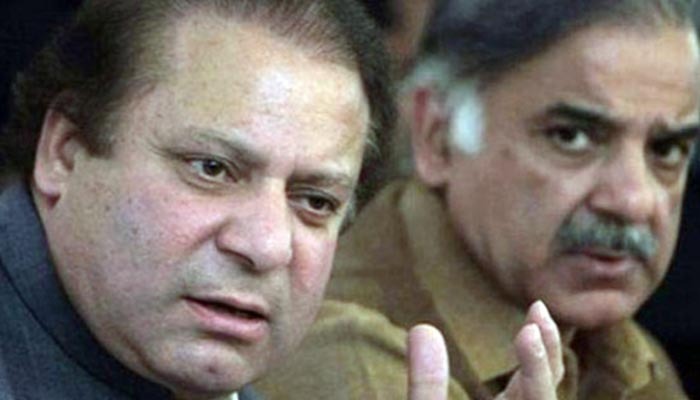 After chairing the meeting as president of his party, Nawaz Sharif recommended his own brother to be his replacement as the prime minister of Pakistan, Geo News reported. A name has not been announced for the interim prime minister, who will fill the 45 day vacuum until Shehbaz Sharif is elected to a National Assembly seat. According to reports two names have surfaced for the interim PM, Khawaja Asif and Shahid Khaqan Abbasi. A final decision will be made during the PML-N consultative meeting scheduled to be held on Saturday. Earlier, senior journalist Saleh Zaafir told Geo News that PML-N's consultative session had decided that Shehbaz Sharif will be the next Prime Minister of Pakistan. He added that either Hamza Shehbaz Sharif or Rana Sanaullah will replace Shehbaz Sharif as the Punjab chief minister. it would be great that shahbaz losses the bielection.